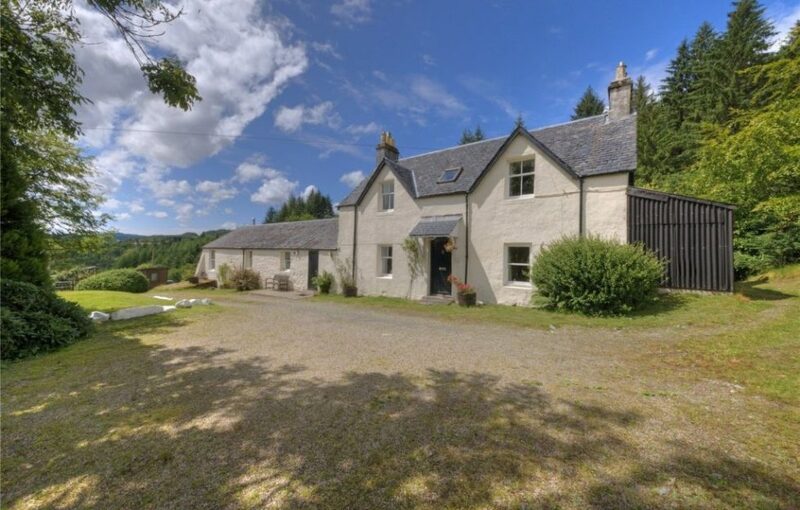 Kilmun Farmhouse is a charming four-bedroom detached house with far-reaching views over Loch Awe. 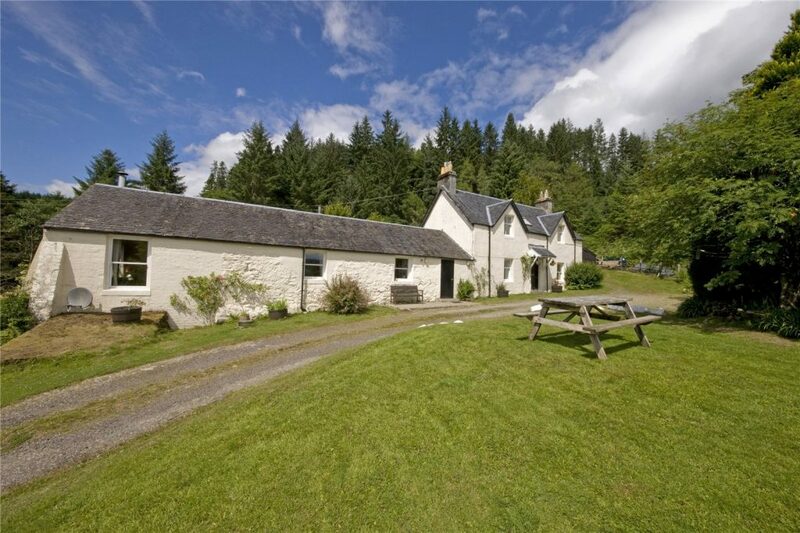 Presented by Bell Ingram, Kilmun Farmhouse is located in Dalavich, Taynuilt, Argyll and Bute. 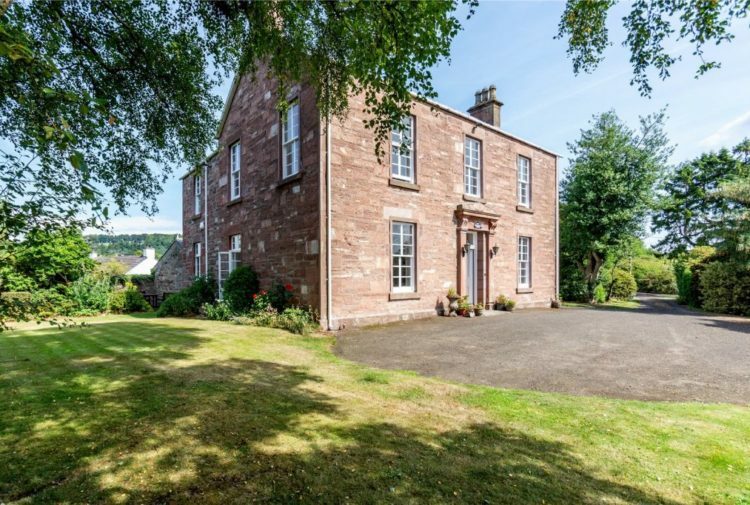 Situated in an elevated position with far reaching views over Loch Awe, Kilmun is a charming four-bedroom detached house which blends 18th century heritage with a twist of contemporary design. It has been tastefully decorated to provide living accommodation over two floors. This original thick-walled farmhouse dates to the mid-1700s and is of traditional stone construction under a slate roof. 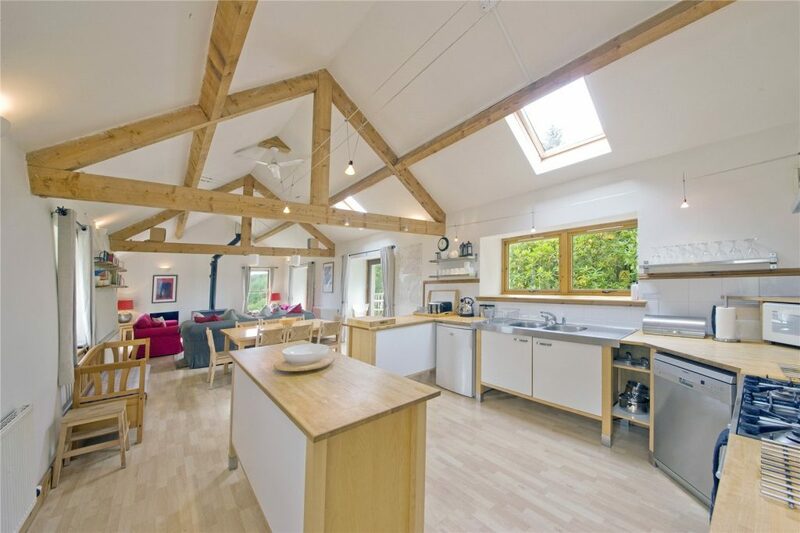 An attached byre has been tastefully converted to provide a magnificent 40ft long combined living space, with well specified spacious kitchen, dining area and open plan lounge. 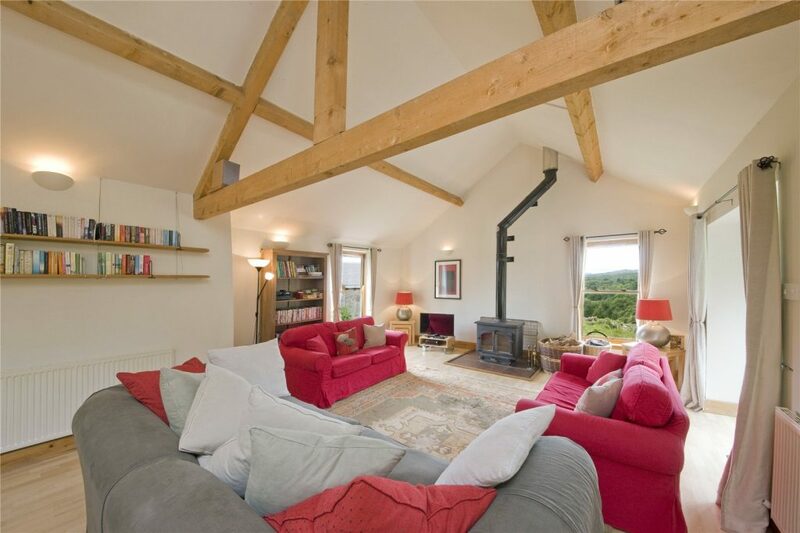 The room is completed by the addition of a stunning feature wood burning stove, providing warmth and comfort in equal measure. Two sets of French doors lead out to an elevated decking area, providing more space to relax and unwind. The remainder of the ground floor comprises of two large double bedrooms – each with glazed doors opening to the outside area – a large family bathroom, well equipped utility room also housing the heating boiler and a sizable larder room. A winding staircase leads upstairs to a central landing, flooded with natural light by the addition of a Velux style window, then on to a sizable family bathroom. Two further double bedrooms complete the accommodation, each with views to the front of the property. Externally, Kilmun Farmhouse is accessed via a sweeping drive which opens into convenient parking at the front of the house. An impressive area of lawn is home to several young fruit trees and offers a place to sit and admire the stunning scenery. The grounds extend around the property, with a substantial shed providing tool storage. Additional workshop and wood storage is to be found attached at the end of the property. 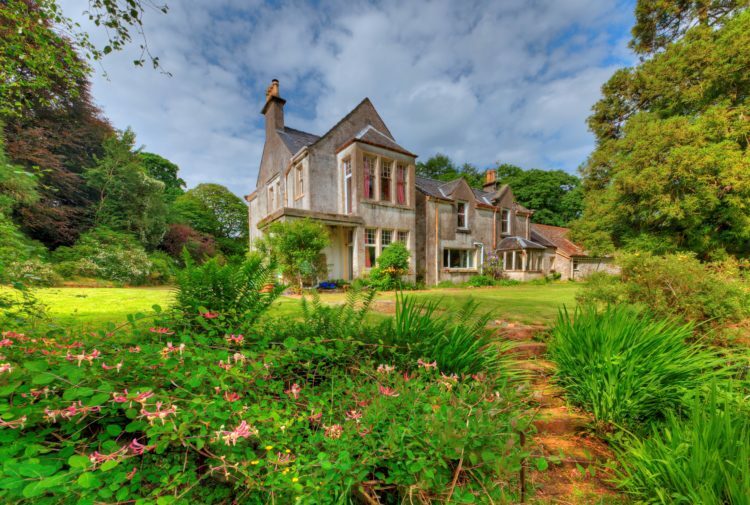 Kilmun is well suited as a family home, but more recently has been operated successfully as a holiday home providing significant secondary income. The accommodation is designed to house up to eight guests in total comfort and its location offers the perfect base for those looking to enjoy an active outdoor life. 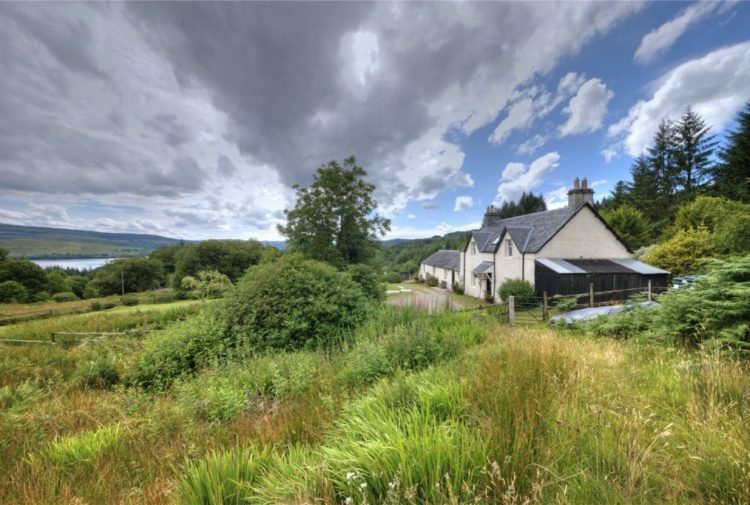 The property is situated less than a mile away from the village of Dalavich and only minutes away from the shores of Loch Awe by the River Avich. Loch Awe is one of Scotland’s largest and most picturesque freshwater lochs with its wooded shores and scattered small islands. It attracts numerous visitors to the area, renowned for its salmon and trout fishing. Boat hire is available for those looking to explore the loch, and fishing permits can be also bought locally. The surrounding area is home to many forest walks and cycle routes, mostly maintained by the Forestry Commission. The Dalavich Oakwood Trail is amongst the many nature trails, where red squirrel, pine marten, woodpeckers and many other woodland inhabitants may be seen. Dalavich, about a mile away, supports a small shop with a cafe and post office and a licensed social club with a restaurant. Kilchrenan, approximately seven miles away, is a small West Highland village close to the shores of Loch Awe. The village supports several prestigious hotels, a village hall, a gastro pub and a well-respected primary school. Secondary education is available in Oban. Further services can be found at Taynuilt approximately eight miles to the north. Taynuilt has a number of traditional stores including a butcher’s, grocer and a Sub-Post Office. It has a modern doctor’s surgery, Police Station, two churches, a hotel and a tea-room. Other facilities include a sports field with an all-weather pitch, a nine-hole golf course, a village hall and a primary school. Approximately 27 miles away, Oban supports a wide range of shopping, recreational facilities, banks, building societies and professional offices. There are a number of primary schools, a high school, a leisure centre and a hospital as well as churches of different denominations. 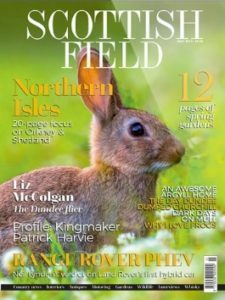 It is an expanding port with an attractive sea front and busy harbour from which the Caledonian MacBrayne ferries operate serving the Inner Hebrides and some of the Outer Hebrides. The agents will consider offers over £395,000.